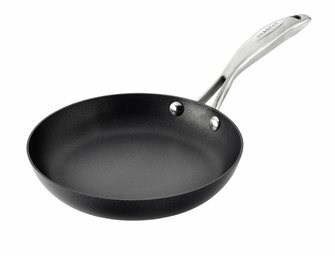 Ustensiles de cuisson SCANPAN anti-adhésifs garantis à vie. Poêles, sauteuses, grils... découvrez une gamme de très haute qualité en aluminium recyclé revêtu d'un anti-adhésif inusable et fabriquée au Danemark. 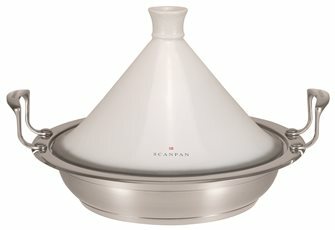 Tajine 28 cm in stainless Scanpan Impact. Ceramic lid. Thick background compatible induction. 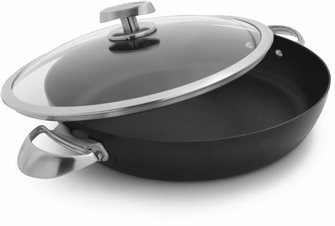 Induction necklace with glass lid SCANPAN® Pro IQ 32 cm. 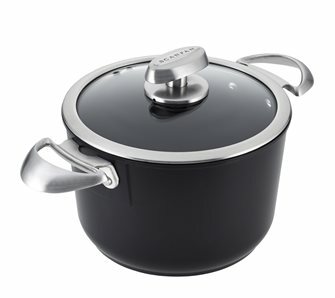 Thick aluminum coated with an extremely resistant anti-adhesive, riveted stainless steel handles, induction compatible. Lifetime warranty. Made in Denmark. 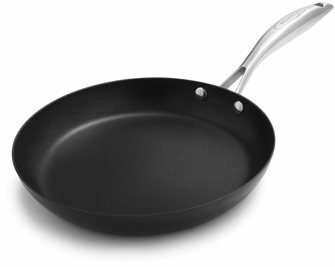 Classic 24 cm thick SCANPAN® frying pan with thick aluminum lid coated with an extremely resistant anti-adhesive. Lifetime warranty. Made in Denmark. 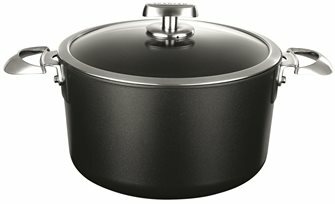 Induction pot with glass lid SCANPAN® Pro IQ 20 cm 3.2 liters. Made of thick recycled aluminum with extremely resistant anti-adhesive, riveted stainless steel handles. Guaranteed for life. Made in Denmark. 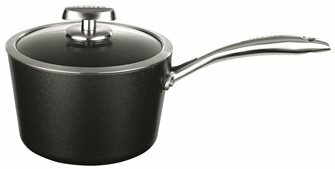 Induction saucepan with glass lid SCANPAN® Pro IQ 20 cm 2.5 liter. Made of thick recycled aluminum with extremely resistant anti-adhesive, riveted stainless steel tail. Lifetime warranty. Made in Denmark. 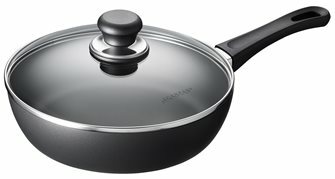 Induction cooker with glass lid SCANPAN® Pro IQ 26 cm 6 liters. Made of thick recycled aluminum with extremely resistant anti-adhesive, riveted stainless steel handles. Guaranteed for life. Made in Denmark. 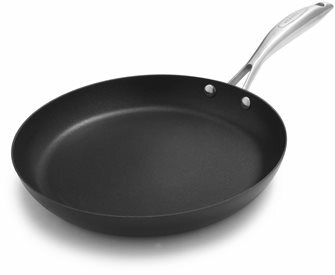 Classic 28 cm thick SCANPAN® frying pan with lid in thick aluminum coated with an extremely resistant anti-adhesive. Lifetime warranty. Made in Denmark. 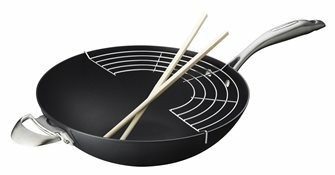 SCANPAN® Pro IQ stove 20 cm thick aluminum coated with an extremely resistant non-stick, riveted stainless steel tail, induction compatible. Lifetime warranty. Made in Denmark. 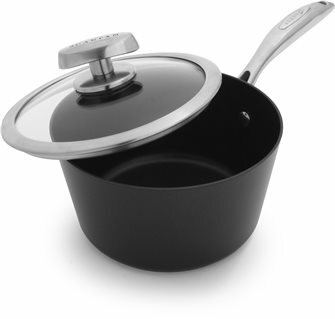 Induction saucepan with glass lid SCANPAN® Pro IQ 18 cm 1.5 liter. Made of thick recycled aluminum with extremely resistant anti-adhesive, riveted stainless steel tail. Lifetime warranty. Made in Denmark. 32 "thick SCANPAN® IQ induction stove made of thick aluminum coated with an extremely resistant anti-adhesive. Lifetime warranty. Made in Denmark. 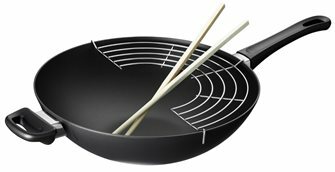 SCANPAN® Pro IQ 24 cm thick aluminum frying pan coated with an extremely resistant anti-adhesive, riveted stainless steel shank, induction compatible. Lifetime warranty. Made in Denmark. 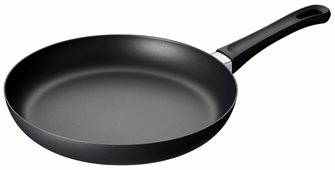 SCANPAN® Pro IQ 26 cm thick aluminum frying pan coated with an extremely resistant anti-adhesive, riveted stainless steel shank, induction compatible. Lifetime warranty. Made in Denmark. 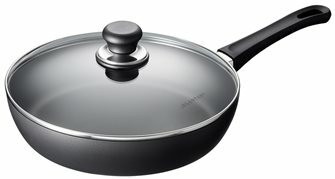 Induction frying pan with glass lid SCANPAN® Pro IQ 26 cm. Thick aluminum coated with an extremely resistant anti-adhesive, riveted stainless steel tail, induction compatible. Lifetime warranty. Made in Denmark. 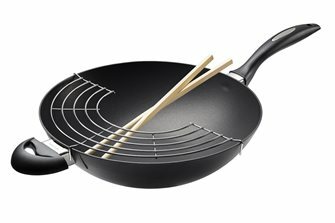 SCANPAN® Pro IQ 32 cm thick aluminum frying pan coated with an extremely resistant anti-adhesive, riveted stainless steel shank, induction compatible. Lifetime warranty. Made in Denmark. 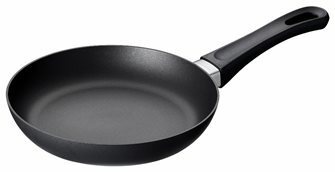 SCANPAN® Classic 28 cm thick aluminum frying pan coated with an extremely resistant anti-adhesive. Lifetime warranty. Made in Denmark. 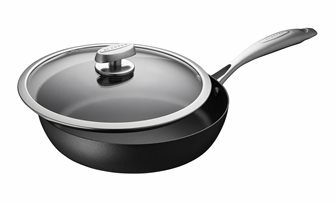 Induction frying pan with glass lid SCANPAN® Pro IQ 28 cm. Thick aluminum coated with an extremely resistant anti-adhesive, riveted stainless steel tail, induction compatible. Lifetime warranty. Made in Denmark. SCANPAN® Classic 20 cm thick aluminum frying pan coated with an extremely resistant anti-adhesive. Lifetime warranty. Made in Denmark.